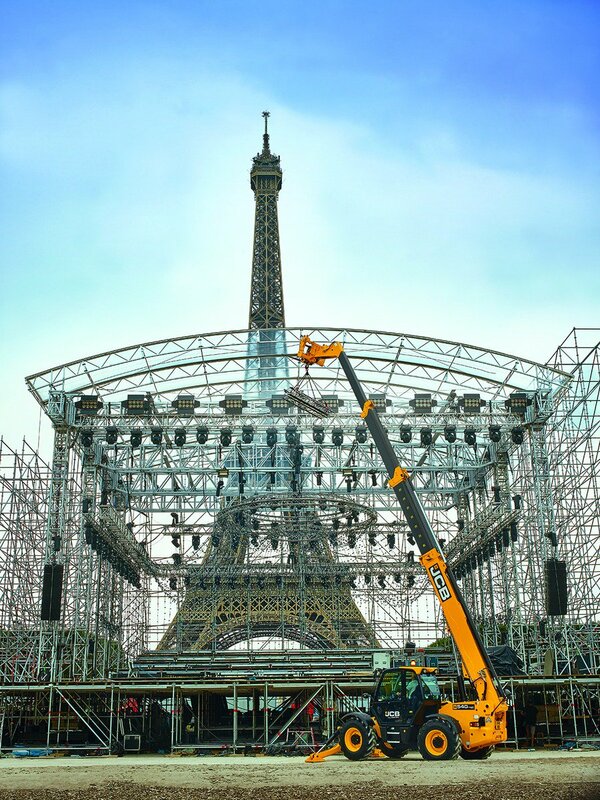 JCB is today launching a new 18 metre Loadall model with the unveiling of the 540-180 HiViz – expanding what is already the world’s biggest range of telescopic handlers. The 540-180 Loadall is the latest addition to JCB’s popular HiViz range of telehandlers, boasting a lift height of 17.5m and a maximum forward reach of 13.5m. That’s a 5% increase in working height over the current 540-170 with a 2,500kg load at full height, plus a 10% increase in forward reach. At just 11,330kg however the new model is 7% lighter than its stablemate, thanks to a strengthened four-stage, chain-driven boom and improved chassis construction. The synchronised boom design provides smooth and precise boom movements with faster extensions and retraction, to improve overall cycle times. A regenerative Smart Hydraulic system on the optional single lever control uses gravitational force to aid lower and retract functions, also reduces energy required during operation. The chain driven boom, which uses an innovative chain adjustment system for reduced maintenance, also allows for a reduced hydraulic pump capacity with no loss of productivity. Indeed the 540-180 delivers 12% greater efficiency when placing a load, offering speed without compromising performance or safety. The telehandler is also equipped with ground-level tie-down points for easier transportation. The 540-180 is powered by JCB’s proven SmartPower Tier 4 Final EcoMAX diesel engine, delivering 55kW (74hp) with no requirement for a Diesel Particulate Filter (DPF) or Diesel Exhaust Fluid (DEF) additive, reducing operating costs for the customer. This drives through a four-speed JCB Powershift transmission with a maximum travel speed of 29kph. The entire driveline is designed and built by JCB and this vertical integration and innovative use of power through Smart Hydraulics, ensures that the 540-180 is both productive and efficient, using up to 10% less fuel. This single source philosophy extends to service and parts supply, ensuring maximum uptime for JCB customers, while the ability to de-emission the engine allows the machine to be resold worldwide, boosting residual values. The machine benefits from an incredibly low boom pivot point, delivering a 20% improvement in visibility over the boom. The multi-lever command control hydraulic system is common with the popular 540-140, delivering precise load placement and controllability. The optional single-lever electric servo control is light and easy to operate, with minimal arm movement for reduced operator effort. The machine comes with a hydraulic pressure release button in the cab, to vent the hydraulic service and make it easier to change attachments. 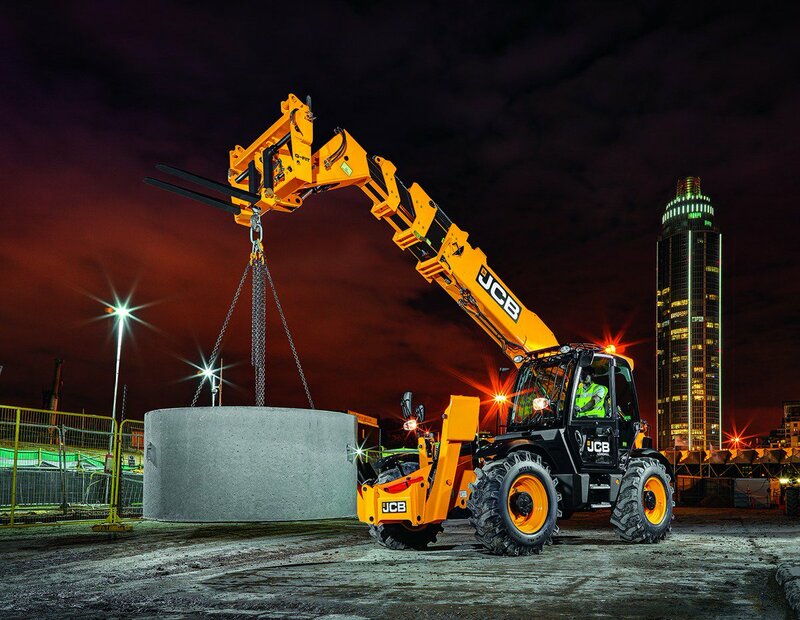 The JCB Loadall side-engine design provides easy access to regular maintenance points, while the diesel tank filler irecessed into the cab structure for added protection and accessibility. With the low-maintenance boom design, no DPF and 500-hour service intervals, the 540-180 has a best-in-class SAE service rating, offering a 50% service cost saving over many competitors over a 1,000 hour operating period. The machine is also equipped as standard with JCB’s LiveLink telematic system and an immobiliser.